January 2018 Updates – Kumulos to the Rescue! So we’re now almost a month into the New Year and we hope it’s been a good one for you so far. We’ve had a great – if chilly – start to 2018, but it looks like a couple of our competitors haven’t had it quite so good. Back in November 2017, Telerek announced that they would stop development on their AppBuilder platform and pull the plug on May 10, 2018. Appboy, meanwhile, rebranded their platform and re-emerged as Braze. It looks like there was some product shakeup there as well and some customers seem to have fallen through the cracks. Sometimes change is good, but that’s not really what you’re want when you’re shopping around for a rock solid platform to develop an app. If you’re looking for a provider that won’t close the door on your and your customers, know that we here at Kumulos have been around for years and we’ll still be around for years to come. That’s the reason why thousands of Mobile App Development Companies trust Kumulos to provide a stable, secure and scalable mobile app performance management platform. Here at Kumulos we build long term relationships with our partners and you will be assigned an account manager that can help you every step of the way. So if you’re a refugee from AppBuilder, Appboy, Parse or one of the other service providers who have dropped or changed their platform and left you behind – drop us a line, maybe we can help! 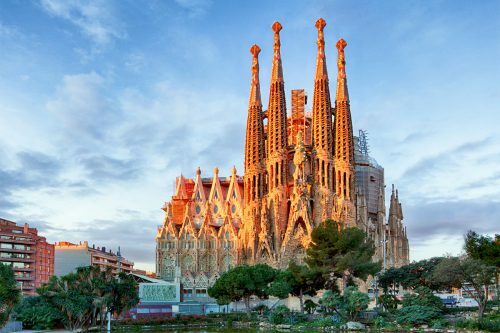 In other news, we wanted to let you know that in February 2018, we’ll be taking our first road trip of the year – to sunny Barcelona, Spain for the 2018 Mobile World Congress. We’ll be exhibiting at Stand 7B31 in Hall 7, so if you’re around, stop by and say “Hola!” We’ll be happy to have a chat to see how Kumulos can help your business. And if that wasn’t enough of an invitation, we’ll also be hosting a Whisky Reception on the evening of February 27 (we know a thing or two about whisky). You’re more than welcome to attend – just drop us an email and we’ll send you an invite. That’s the news for now – stay tuned because we’ve got great things happening at Kumulos in 2018!